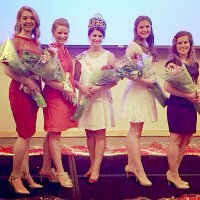 When the National Cherry Queen is crowned next month, Hannah Beaudry will be hoping the luck of the pine tree is on her side. The NMC student is one of four finalists vying for the 2015 crown. 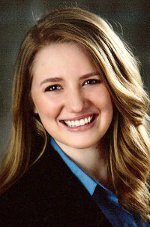 If she wins, Beaudry, 19, will become the fifth queen within the past decade with NMC connections. “Being able to have a college experience in beautiful Traverse City, Michigan, is such a blessing to me. Hopefully there’s a lucky charm with NMC and cherry queen, but who knows,” said Beaudry, a 2013 Elk Rapids High School graduate who is studying elementary education. She’ll finish her NMC classes in December and then go on to complete her bachelor’s through Central Michigan University at the University Center. The Cherry Queen scholarship would cover the remainder of her tuition costs, she said. “It would be life-changing to earn that scholarship and graduate college debt-free,” she said. At NMC, Beaudry’s favorite instructor has been history professor Jim Press. On July 10, Beaudry will hope to make National Cherry Festival history, walking away with the crown first awarded in 1925.